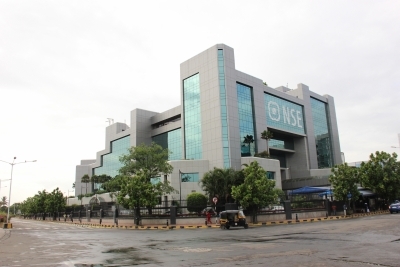 Mumbai, July 24 (IANS) The key equity indices — the BSE Sensex and the NSE Nifty — traded at record highs during the mid-afternoon session on Monday, with the wider Nifty of the National Stock Exchange (NSE) trading close to the 10,000-level. According to market observers, investors’ sentiments were boosted by hopes of healthy quarterly results from index heavyweights such as Ambuja Cements and HDFC Bank, and buying in consumer durables, banking and FMCG stocks. The 30-scrip Sensitive Index (Sensex) of the BSE, which opened at 32,100.22 points, traded at 32,245.87 points — up 216.98 points, or 0.68 per cent, from its previous close at 32,028.89 points. 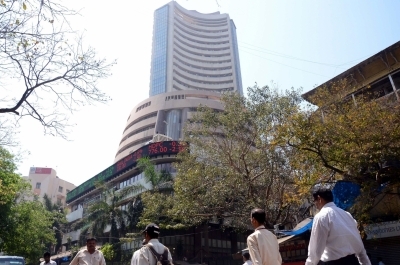 The Sensex has so far touched a high of 32251.83 points and a low of 32058.33 points during intra-day trade. The BSE market breadth was bullish with 1,437 advances and 1,084 declines. “The benchmark indices Sensex and Nifty hit their record highs as investors kept an eye on a host of quarterly earnings scheduled for the day. Gains were, however, capped by a mixed trend seen in Asian markets ahead of the joint OPEC (Organisation of the Petroleum Exporting Countries) and non-OPEC ministerial meeting later in the day,” said Dhruv Desai, Director and Chief Operating Officer of Tradebulls. On Friday, the benchmark indices were buoyed by healthy quarterly results from index heavyweights such as Reliance Industries (RIL) and Wipro. The Nifty rose by 41.95 points, or 0.42 per cent, to close at 9,915.25 points. The Sensex closed at 32,028.89 points — up 124.49 points, or 0.39 per cent.